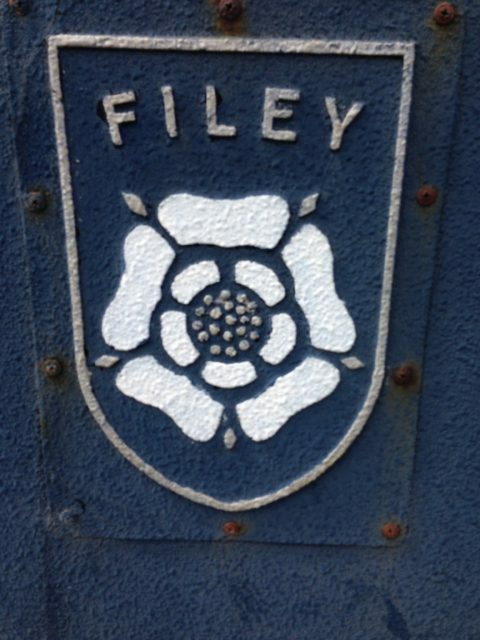 ‘Keep Filey litter free’ by using one of the patriotic Yorkshire rose emblemed litter bins. It seems to work as returning day trippers remarked to me how clean the town was. I couldn’t see the state of the beach as the tide was on its way to being ‘well in’ but I also got a good impression. The surrounding North Yorkshire moors have been inhabited for an estimated 3,000 years and the local museum has artifacts to back this up. Arrow heads and flint stones have been found locally that date from the era. The Romans made it to nearby Wolds village Rudston that has a monolith in the church yard that was sacred to first pagan then christian. On Filey Brigg the romans built a coastal signaling station that was excavated in the 1923. Filey Brigg is a partially submerged ridge of Oolite rock that has caused many shipping mishaps including in 1932 the trawler ‘James Lay’. Filey boasts (probably quite loudly) to feature the musicians the ‘Filey Ramshackle Shanty Men’ Watch out for this group, so you can avoid them! Greyhounds named after Filey have run in the national track championship and are bred and eventually re-homed in the town. The small Filey Museum is located in a domestic home built in 1696. It pays a leashold rent of one sea shell per annum which due to its shape is called the Devils toenail. The shell of ‘Gryphaea an extinct oysters’ is donated back to the museum each year . Devilish cunning way to pay the rent next year and provide a talking point in the museum. I lost count of how many ‘fish and chip’ shops and cafes there were. Unlike my home chippy the fish were fried with the skin on – still waste not want not tha knows. The book I was reading on my journey featured a home called ‘Sea for Miles’ rather adapt I thought. Bye names similar to nicknames but handed on have been used for fishermen and include, Chutney, Brittner, Awd Sled, Codge, Wempow and Quaft as well as more recognisable sobriquets. Fast upon the problems with the Cleethorpes life boat that was sold on ebay and the cash stolen I hope this vessel remains in Filey. It should do as a lifeboat was first stationed here in 1804. 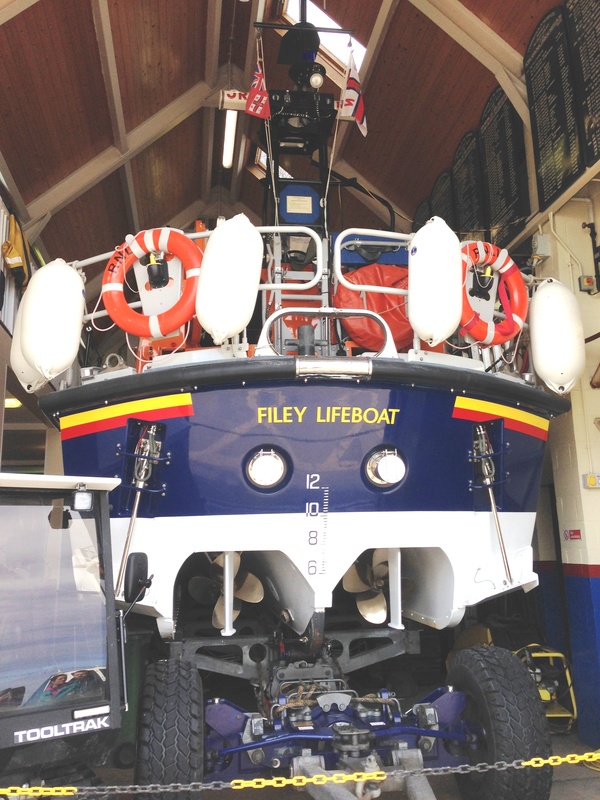 The RNLI station is on Coble Landing. The railway station has trains to Brid and on to Sheffield or to Seamer for York or Scarborough. 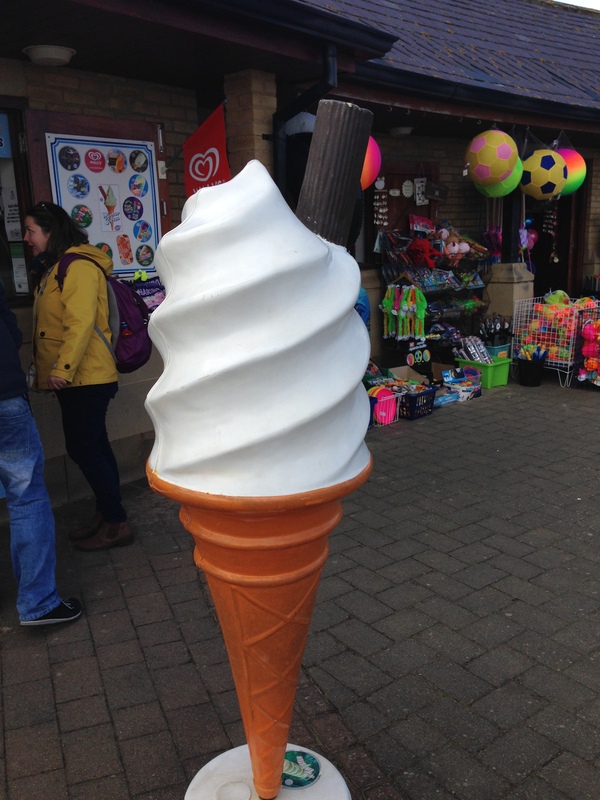 It is a popular location for starting or finishing walks along the Cleveland Way from the Brigg to Helmsely 110ml or the Yorkshire Wolds Way from Filey to Hessel near Hull 79ml. This declaration is read at four of York’s Bars on every 1st August Yorkshire Day and at many other events around the county. These declarations made this Yorkshire day 2016. (…. followed by three cheers and alcoholic beverages). After a long walk my favourite dog is a large Bordeaux Collie. It makes a change from ‘Hair of the Dog’ brew dog beer and Laika, a fine Russian Imperial Stout named after the first dog to orbit the earth. We get rolling stones at Brimham rocks and on the East Coast, both great places to take your dog for a walk. Perhaps when you are out walking you already chant like Mick Jagger……………. 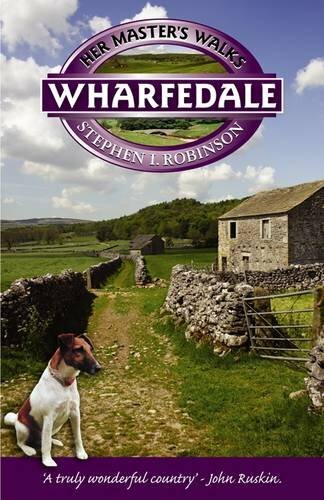 Her Master’s Walks in Wharfedale by Stephen I. Robinson is one of a series of books on Swaledale, Wensleydale, the Hambleton Hills and Wharfedale. For other ideas on where to walk your dog read one of Rob Godfrey’s Dog Walker’s Guides. 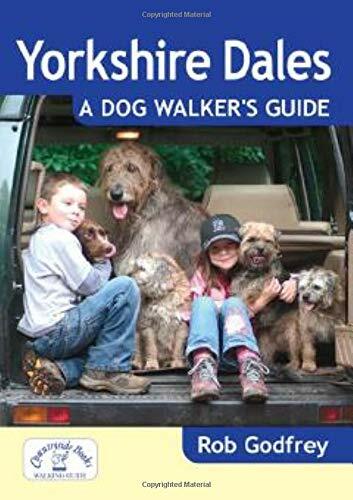 There are books on walks with dogs in Debyshire, The Peak District, Lancashire and of course Yorkshire. dogwalksyorkshire.com is your guide to dog-friendly walking in the Yorkshire countryside. Her Masters Walks has 8 dog friendly walks available via pdfs.